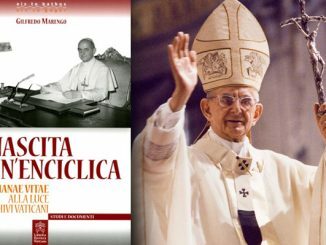 The book “La nascita di un enciclica” (The Birth of an encyclical), written by Professor Gilfredo Marengo, argues that Humanae vitae is not a “pre-conciliar” encyclical and Bl. Paul VI did not develop the final draft in solitude. Vatican City, Jul 19, 2018 / 04:00 pm (CNA).- Humanae vitae is not a “pre-conciliar” encyclical, Bl. Paul VI did not develop the final draft in solitude, and, the pope sought opinions before promulgating the text, according to a new book on the encyclical’s history. The book “La nascita di un enciclica” (The Birth of an encyclical), was written by Professor Gilfredo Marengo, a professor of theological anthropology at the Pontifical Theological Institute John Paul II for Studies on Marriage and Family. To write the book, Professor Marengo was given access to documents from the archive of the Vatican’s Secretariat of State, with special permission from the pope, since archival material from the Holy See is usually made available to scholars only after 70 years. The documents include a series of drafts and instructions and also a never published encyclical draft, De nascendi prolis, which was overturned by a new draft, which ultimately became the final text of Humanae vitae. At the same time, “the isolation in which he found himself” after the promulgation of the encyclical is a different matter, Marengo said. The book is the conclusion of a historical research project on Humanae vitae which initially sparked concern when announced. At the beginning, some speculated that a commission to reinterpret Humanae vitae had been formed, composed of Marengo, along with Pierangelo Sequeri, president of the Pontifical Theological Institute John Paul II, and professors Philippe Chenaux and Angelo Maffeis. Church officials said last June this was not the study group’s intended purpose, and Marengo, at the eve of the publication of the book, told CNA that Paul VI’s encyclical needed no update. The path toward the publication of Humanae Vitae was long. It started in 1963, when St. John XXIII established a commission for the study of marriage, family and birth control. Shortly after this, St. John XXIII died, and Paul VI was elected pope. He expanded the commission’s membership from 6 to 12, and in 1965 he further expanded the membership to 75, chaired by Cardinal Alfredo Ottaviani, prefect of the Holy Office – now named the Congregation for the Doctrine of Faith. Professor Marengo’s book follows step-by-step the development of discussion, from one session of the commission to another. In general, there is at first a pastoral approach, then a more doctrinal one, and then the synthesis offered by Bl. Paul VI. Among the biggest concerns of some commission members was that arguing that the use of a contraceptive pill could be licit in some particular cases would favor the anti-birth policies of the developed West, thus impacting negatively the poorest countries. 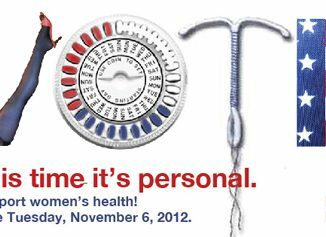 The issue of birth control was part of the discussion during the drafting of the Second Vatican Council’s constitution Gaudium et Spes. However, Paul VI made the decision to take the birth control issue out of the discussion. Marengo notes that the pope asked to include in Gaudium et Spes sections reiterating the Church’s teaching on issues of marriage and family, opposing contraceptive mentalities and praising conjugal chastity, in order not to raise any doubt about Catholic teaching. Particularly noteworthy is the plenary meeting of the expanded commission that took place March 25 – 29, 1965. 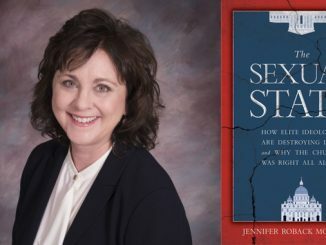 The gathering recognized that a public statement on responsible paternity was needed, while it underscored that it had been impossible to reach a shared conclusion about whether the pill could be used licitly. Bishop Carlo Colombo, then auxiliary bishop of Milan, also made his proposal for a pastoral turn, and presented a text which said that “contraceptive practice must not always be considered grave sin,” which was a way in the middle not to detach from Pius XI and Pius XII teachings and at the same time to dissolve conflict of conscience among spouses. Paul VI did not take this suggestion, and started a new path of study, in his constant attempt to find a good balance between pastoral practice and doctrine. At this point, international pressure started to mount. A document stressing that 70 members of the Pontifical Commission were favorable toward the birth control pill was published simultaneously in the French newspaper “Le Monde,” the English magazine “The Tablet,” and the American magazine “National Catholic Reporter” in 1967. This publication is at the origin of the popular narrative that Paul VI acted alone, and against the opinion of the majority of commission theologians. In 2003, Bernardo Colombo, a professor of demographics and a member of the commission, revealed that the document was in fact “just one of the 12 reports presented to the Holy Father,” in an article he wrote in “Teologia”, the journal of the theological faculty of Milan. Professor Marengo’s book also dismisses the narrative. Despite pressure, the work toward the drafting of an encyclical proceeded. In 1967, Paul VI askes the Vatican Secretary of State to poll participants in the first Synod of Bishops. Only 26 out of the 199 participants in the Synod respond to a request that they give an opinion on birth control. The majority of them called for openness to the use of contraception, while only seven asked the Pope to reiterate the immorality of contraception, according to Marengo. It was, however, only a minority of surveyed bishops who even responded to the survey. Paul VI’s collegial way of working is proved by the numerous opinions he sought, as well as regular dialogue with theologians and commissions, and that final request to the Synod of Bishops. Marengo stressed that “not a few looked at the encyclical as a decision made by Paul VI in total solitude, without taking in consideration the dynamics of the majority and the minority,” despite ample evidence to the contrary. “Although Paul VI had a strong awareness of the apostolic ministry with which he was entrusted, he never wanted to make the decision alone, and his attempt to involve Synod’s fathers in 1967 is a clear proof of that,” Marengo wrote. In the end, Bl. 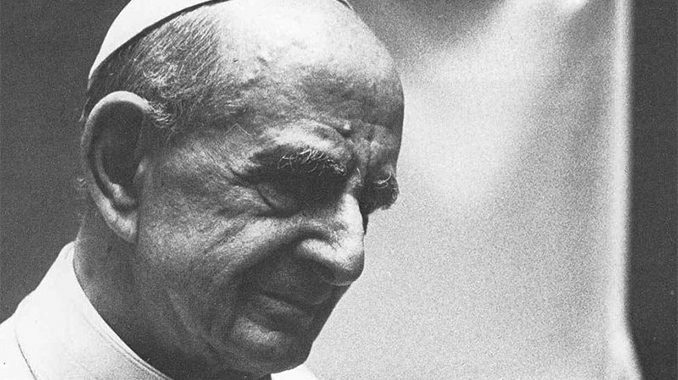 Paul VI had also the courage to reject De Nascendi Prolis, the first draft of the encyclical, after it was already set and had been sent out for translation. Paul VI took the suggestion of Paul Poupard and Jacques Martin, French and English translators of the text and both of them future cardinals. Poupard and Martin also sketched their own draft, which started on different basis: De Nascende Prolis was mostly a clear and correct explanation of principles, while the Poupard – Martin draft took the perspective of the faithful that hoped from the Church for an interpretation of the moral law. That was, in general, the discussion that led to the final drafting of the Humanae vitae. From Paul VI’s personal corrections to the text, one sees that it was the pope who wanted to add the adjective “human” to the encyclical’s opening. In the end, Paul VI took every possible outcome into consideration. 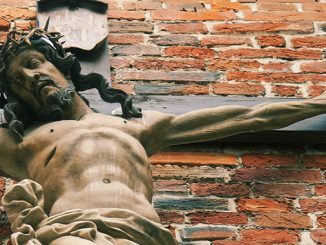 He did not want to suspend any doctrinal judgment, but in reaffirming the doctrine he also put at the center the pastoral method. This was the spirit of the Council: to keep continuity with the deposit of faith, looking for a new way to present it to the world. One final note: beyond any pastoral openness or scientific uncertainty, documents and drafts prior to the publication of the encyclical show that the final goal was to publish a text in continuity with the Church’s traditional teaching. Paul VI did not want to make a formal declaration to say the teaching of the encyclical was infallible, as requested by the Cardinal Wojtyla. This does not mean, in the end, that he did not consider this teaching as definitive. Everything was solidly anchored to the teaching of the Church. I missed this excellent article by an excellent journalist Andrea Gagliarducci on Prof Marengo’s La nascita di un enciclica. It’s a thorough account providing a true picture of a Pontiff guided by the Holy Spirit despite well intended difference of other views. Although Paul VI apparently did not wish append infallible to Humane Vitae the consistency of the doctrine declaring contraception illicit is evident in previous and later pontifical affirmation. Furthermore the gravity with which Paul VI states it’s illicit nature as serious sin meets the criteria of Lumen Gentium 25. Then Cardinal Ratzinger in a assessment of the Doctrinal Commentary to Ad Tuendam Fidem believed it met those criteria and belonged to the Second Proposition that treats binding doctrine. Whether Pope Francis reassesses its binding nature for exceptions I believe he will do so by reference to Amoris laetitia and suggestion to bishops conferences as with communion for D&R and now intercommunion. It should be obvious to all concerned that this as well as previous policy is neither binding nor lawful. Added to my comment is a short treatise on its character as moral knowledge. After all this time since its publication the marked renewed interest and profound assessments delineating the moral importance of the thesis of Humanae Vitae that the conjugal act must be unitive is Providential in an age of rampant sexual deviation from truth. Aquinas believed the truth of an act is inherent to the act rather than a product of reason. That is why he says reason is the measure of truth not the rule. The rule that is a moral act is the object of the act, the materia circa quam [what the act does]. That means intent and circumstances are secondary though in a moral act all must be good. The object if good must be ordered to God as taught by Saint Thomas Aquinas and repeated by Saint John Paul II in Veritatis Splendor. What the intellect apprehends as the rule for reason is that the conjugal act confers Life not death. Joe M infallible means without error and when the Pontiff teaches on faith and moral definitively it is binding. “And this infallibility with which the Divine Redeemer willed His Church to be endowed in defining doctrine of faith and morals, extends as far as the deposit of Revelation extends, which must be religiously guarded and faithfully expounded. And this is the infallibility which the Roman Pontiff, the head of the college of bishops, enjoys in virtue of his office, when, as the supreme shepherd and teacher of all the faithful, who confirms his brethren in their faith,(Cf. Lk. 22, 32.) by a definitive act he proclaims a doctrine of faith or morals (Lumen Gentium 25). The Doctrinal Commentary to Ad Tuendam Fidem Propositions One and Two relate to teaching of the Roman Pontiff either solemnly pronounced or definitively held. The Deposit of the Faith that extends to doctrine in that context is always binding and infallible. Although the use of contraception is not as clearly related to the Deposit Paul VI taught it definitively as binding and that abrogation of his teaching is serious sin. Therefore it is considered as belonging to Proposition Two regarding matter that relates to the Deposit regarding human life created in God’s image, namely the transmission of that human life. Very Interesting article. Short of examining original source material, one is left with what the writer says the researcher says is his interpretation of what the source material says took place over the years. The fact seems to be that Paul VI’s position was a very lonely one from the start, and that is how it has been recalled over the years. Remarkable,, although not surprising, is the apparent reluctance of so many bishops to express a position on the issue (one can guess where they stood.) The position of the auxiliary bishop of Milan (“contraceptive practice not always…grave sin”) was probably not uncommon (see how many couples were so advised after publication of the encyclical.) The report about the 70 members of the Pontifical Commission was believable at the time, still is, and their position should be demonstrable from source material.. Thus, it may be correct to say that Paul VI did not develop the encyclical in solitude (“the joy of being alone”), but it is clear that he developed it in loneliness (with the “pain of being alone”.) May Our Lord reward him for his effort at ascertaining that the pastoral approach conform to the doctrine of the Church. And may those who follow his steps follow his approach as well.